Chatsworth, Porter Ranch, Northridge and Granada hills are always windy areas. Screen doors and retractable screen doors here don’t last as long. For this we now have stronger screen mesh, thicker window screen frames and better window and door hardware. The installations are all guaranteed. My name is Henry and I own Complete Screen. I have worked in the door and window screen business since 1993. 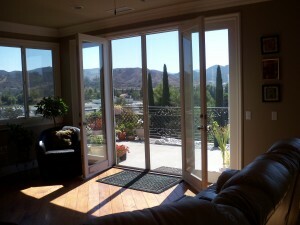 I have done screen door installations and window screen installations in thousands of homes all over the San Fernando Valley for years, so I do have Experience in Installing screens. If you have a home with old retractable screen doors, missing retractable screens, broken retractable screens, then my service is the one you need! I have a mobile screen service that comes to you and does all your screens right on-site! You do not need to do any measuring, screen installing or transporting of dirty old retractable screens in your car, let me do it all! Mobile Service in the following areas: Agoura Hills, Bel Air, Beverly Glen, Brentwood, Burbank, Calabasas, Canoga Park, Chatsworth, Encino, Granada Hills, Hidden Hills, Los Angeles, Malibu, Mission Hills, North Hills, Northridge, Oak Park, Porter Ranch, Reseda, Sherman Oaks, Simi Valley, Tarzana, Thousand Oaks, Topanga, Van Nuys, West Hills, Westlake Village, West San Fernando Valley, Winnetka, Woodland Hills, Wood Ranch, Valley Village.